Intellectual disability poses a huge burden on the health care system, and it is one of the most common referral reasons to the genetic and child neurology clinic. Intellectual disability (ID) is genetically heterogeneous, and it is associated with several other neurological conditions. Exome sequencing is a robust genetic tool and has revolutionized the process of molecular diagnosis and novel gene discovery. 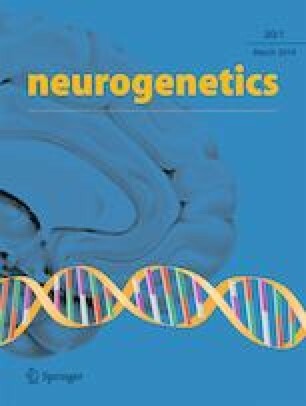 Besides its diagnostic clinical value, novel gene discovery is prime in reverse genetics, when human mutations help to understand the function of a gene and may aid in better understanding of the human brain and nervous system. Using WES, we identified a biallelic truncating variant in DNAJA1 gene (c.511C>T p.(Gln171*) in a multiplex Saudi consanguineous family. The main phenotype shared between the siblings was intellectual disability and seizure disorder. The online version of this article ( https://doi.org/10.1007/s10048-019-00573-6) contains supplementary material, which is available to authorized users. We would thank the studied family for their enthusiastic participation. SA and FA created the presented idea and wrote the manuscript. SA, DB, and FA contributed to the patient care and diagnosis. SA, AA, DB, and FA prepared the tables. SA, AA, STA, FJG, and FA prepared the figures. SA, AA, STA, FJG, DB, and FA edited the manuscript. The research by STA and FJGV reported in this publication was supported by funding from King Abdullah University of Science and Technology (KAUST) through the baseline fund and the Office of Sponsored Research (OSR), under award number FCC/1/1976-25-01.